The elementary campus worked through the month of October to collect both adult and children’s socks. The month of October wasn’t just for trick or treating and dressing up for Bennett Elementary students. Dubbed “Socktober,” all of the elementary students collected socks all month long to donate to the FHS Caring Closet, the Bennett Care and Share Closet and the Tiger Tree with the cold weather drawing near. To motivate students, each class competed against each other to see who could collect the most socks. The class from each grade level who collected the most gets prize. 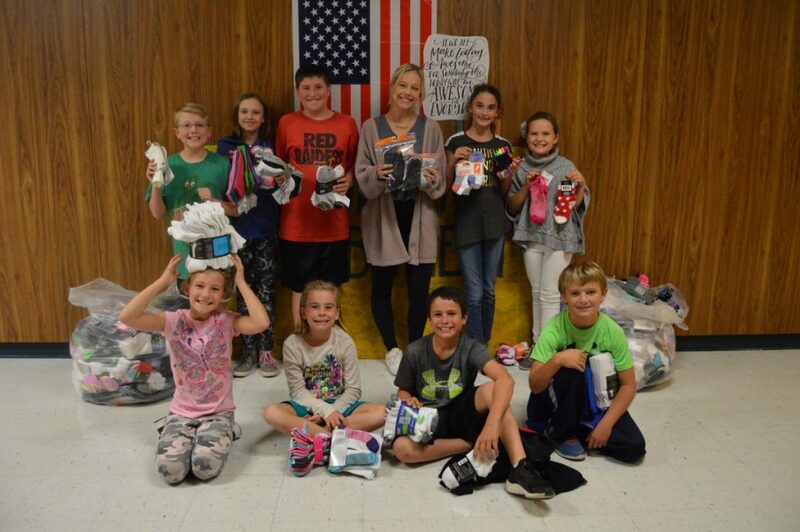 Last week, Bennett Elementary students presented the socks to Craig Thomson, an FHS counselor, and Lauren Shephard, Frenship’s Caring Closet founder. The adult socks were donated to the Caring Closet, while the children’s socks were donated to the Bennett Care and Share Closet and the Tiger Tree.